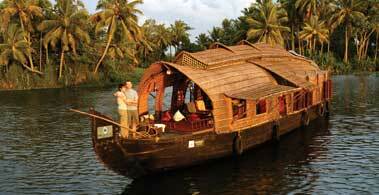 Alappuzha, the beautiful destination of Kerala is historically important too. 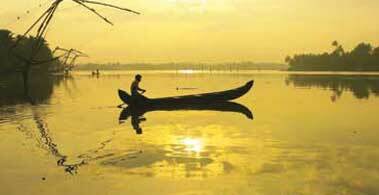 Alappuzha is also known as the 'Venice of East'. The story behind the origin of this name is very interesting. During the British Era, Lord Curzon visited Alappuzha (Alleppey) and seeing the beauty of this place, he addressed Alappuzha as 'Venice of the East'. Kuttanad, the 'rice-bowl' of Kerala was known from the Sangam periods itself. It is said that the early, 'Cheras' were known as 'Kuttuvans', as they had their home at 'Kuttanad'. In the litrerary work, 'Unnineeli Sandhesham', you can see the ancient Alappuzha. Other than this stone inscriptions and historical monuments in temples, churches etc gives some evidences about the history of Alappuzha. 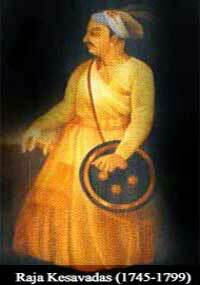 Raja Kesavadas, the architect of modern day Allappuzha had a very humble beginning. He was born at Kunnathur on March 17, 1745 in the erstwhile state of Travancore as the son of a peasant woman and a police constable. His parents named the boy Kesavan. Very little is known about his early childhood. Though he lacked a formal education he exhibited high degree of shrewdness, intelligence, honesty and industriousness. A local merchant named Poku Moosa Marackar was so impressed by the young boy's diligence and temperament that he employed him as a tally clerk in his firm. As Poku Moosa was a rich and influential merchant he made periodic visits to the royal palace. It so happened that the young Kesavan once accompanied Pokku Moosa to the royal palace. Poku Moosa was on very cordial terms with the then Maharaja of Travancore, Karthika Thirunal Rama Varma, who was affectionately called by his subjects as Dharmaraja. The Maharaja was very much impressed by the intelligence and hardworking nature of Kesavan that he soon promoted him in his service and conferred on him more and more responsibilities, which Kesavan carried out in the most efficient manner. The trust and faith that the king reposed in Kesavan was fully justified. Dharmaraja found in him a God sent emancipator for saving the country from the prevailing troubles and turmoil. The joining together of Dharmaraja and Raja Kesavadas was an epoch making event in the history of Venad. Kesava Pillay had a very fast rise while in the service of the king and reached its culmination point when the king by a proclamation, made him the Valiya Divan in the year 1789.The then British Governor, Lord Mornington conferred on him the title of Raja in appreciation of his administrative talents. But out of humility he linked his name with the word Dasan and liked to be called Raja Kesava Dasan with his own name at the centre. He was also a well trained solider and led the army several times under Captain Dillanoi. After the death of Dillanoi, Raja Kesava Das became Army Chief of Travancore and was credited with victory over Tipu Sultan in the battle of Kaladi. His greatest achievement, however, was his contribution in Making Alappuzha one of the busiest ports of the time and developing a system of inland canals for transportation and navigation. He found Alappuzha very suitable, because of geographical and oceanic reasons. Being a far-sighted statesman he knew the importance of having a port town to trade with the western countries. Raja Kesavadas was unique in having such a splendid vision, much far ahead of his time. 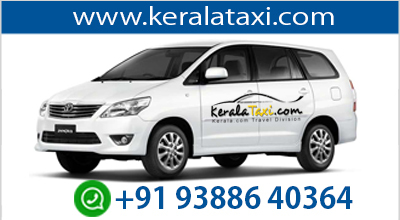 He became very successful in materialising his dream and the first ship embarked at Alappuzha in 1786. Raja Kesavadas made further headway in attracting business men from various parts of the country including those from Bombay, Gujarat, Rajasthan etc. He encouraged them to settle in the land and bestowed upon them every favour that they required for setting up their business and for building up their industrial empire.